Pereiaslav [Переяслав; Perejaslav]. Map: III-12. A city (2017 pop 27,548) on the Trubizh River and a raion center in Kyiv oblast. In the Princely era it was known as Pereiaslavl, and then as Pereiaslav until 1943 when it was renamed Pereiaslav-Khmelnytskyi. In 2017 the city’s name was changed back to Pereiaslav. It is one of the oldest cities of Ukraine: it is first mentioned in 907, in a treaty between Prince Oleh and Byzantium, where it is ranked third in importance after Kyiv and Chernihiv. Pereiaslav was a strategically important fortress that defended Kyivan Rus’ against the steppe nomads. According to the chronicles, Volodymyr the Great built up its fortifications in 992, after his victory over the Pechenegs. The city also played an important political, religious, and economic role. From the mid-11th to the early 13th century it was the center of Pereiaslav principality and the seat of Pereiaslav eparchy. 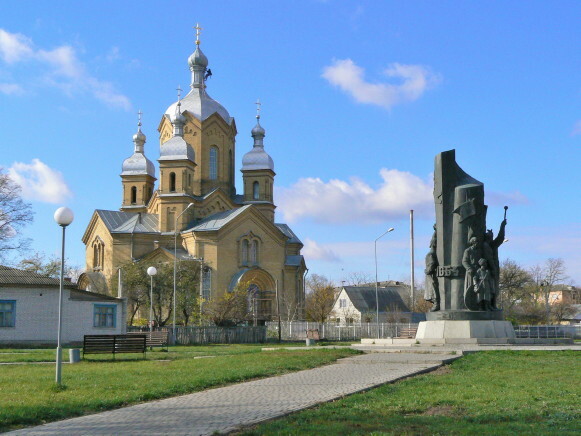 A number of monumental buildings were erected in the period—the five-nave Saint Michael's Church (built in 1090 under Bishop Yefrem), the Dormition Church (built in 1098 by Volodymyr Monomakh), a three-nave shrine outside the fortress, Saint Theodore's Church, and Saint Andrew's Church. The citadel was encircled with walls and a stone gate surmounted by a chapel. In 1239 Pereiaslav was destroyed by the Tatars, and none of the medieval architecture survived. 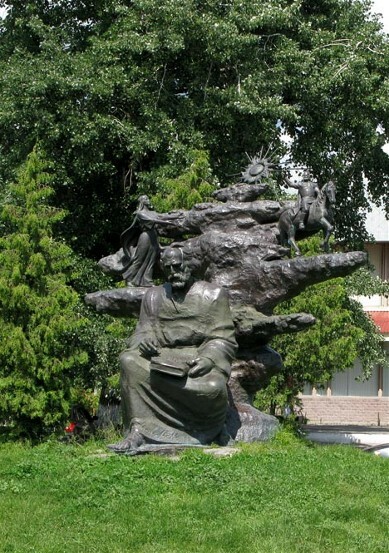 Pereiaslav began to revive only in the mid-16th century, as a Cossack center in Kyiv voivodeship. In 1630 Taras Fedorovych’s Cossack army defeated the Poles near the town. Yakiv Ostrianyn’s rebellion in 1638 was centered in Pereiaslav. 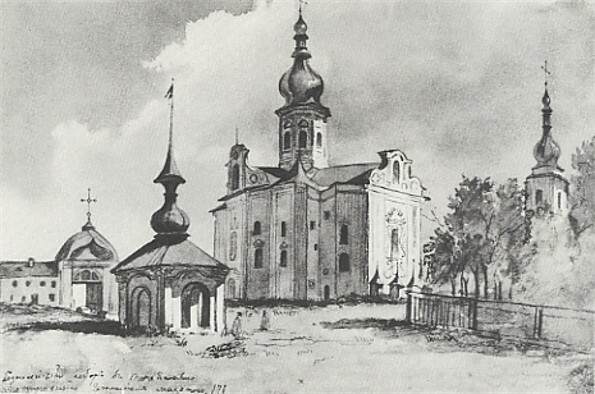 In 1648, during the Cossack-Polish War, the town became a regimental center (see Pereiaslav regiment) in the Cossack Hetman state established by Bohdan Khmelnytsky. It was the site of the negotiations culminating in the Pereiaslav Treaty of 1654. A number of fine buildings erected in the 17th and 18th centuries have been preserved. Although Pereiaslav lost its political significance, it retained its religious and educational role, as the home of the Pereiaslav College (1738–85) and then of a theological seminary (until 1862). Hryhorii Skovoroda taught at the college in 1753. After the abolition of the Hetman state Pereiaslav again entered a period of decline. It became a county center of Kyiv vicegerency (1781–96) and then of Little Russia gubernia (1797–1802) and Poltava gubernia (1802–1922). By 1896 its population had reached 15,600. In 1923 it became a raion center. Today Pereiaslav is a museum town, with little industry (a clothing, a footwear, and a handicrafts factory) but with 17 museums and many architectural monuments. 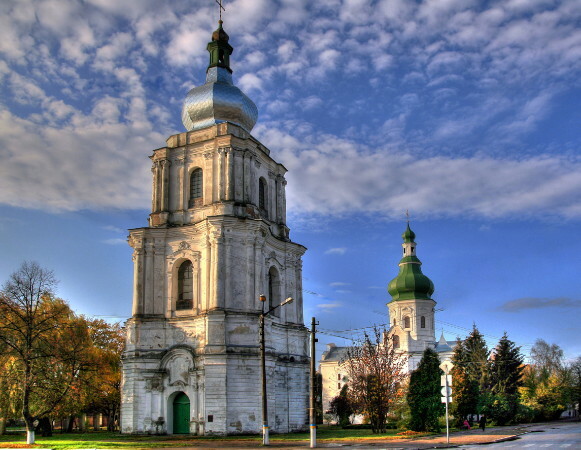 The city and its environs are part of the Pereiaslav-Khmelnytskyi Historical-Cultural Preserve. 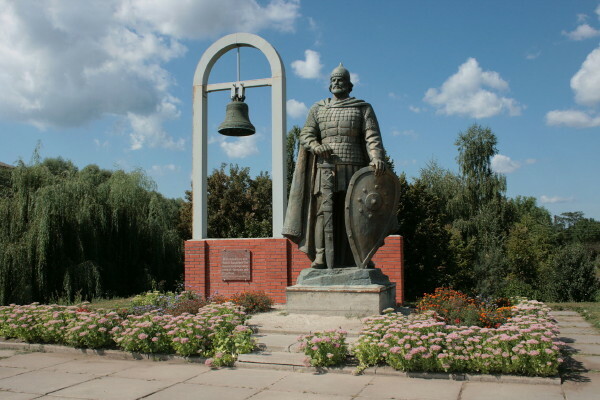 The Cherniakhiv culture Pereiaslav burial site was discovered in the city in 1951. The most important buildings of the baroque period are Saint Michael's Church (built in 1646–66 on the site of the medieval church, restored in 1711–19, and painted in 1715), the Ascension Cathedral (built by Ivan Mazepa in 1695–1700) and its bell tower (1760–70), the college building (1753–7), and the Church of the Holy Protectress (1704–9, financed by Colonel Ivan M. Myrovych). Remnants of the 10th-century fortifications and the foundations of the Church of the Transfiguration (11th century) have been uncovered. Most of the city’s museums, including the open-air Pereiaslav-Khmelnytskyi Museum of Folk Architecture and Folkways, the Hryhorii Skovoroda Museum (est 1972), the Archeological Museum, the Volodymyr Zabolotny Museum (the last three are now branches of the Pereiaslav-Khmelnytskyi Historical Museum), the Folk-Art Museum of the Kyiv Region, the Museum of Kobza Playing, the Sholom Aleichem Museum, the Beekeeping Museum, and the Bread Museum, were founded by Mykhailo Sikorsky. The Andrii Kozachkovsky Museum contains memorabilia of Taras Shevchenko, who visited the town in 1845 and 1859. In 1986 the local branch of the Kyiv Pedagogical Institute was established in the city; in 2002 it was reorganized into the Pereiaslav State Pedagogical University. A referral to this page is found in 113 entries.